Formula One is a team sport which celebrates the skill of the drivers as well as the vision and ingenuity of the engineers and designers. Formula One in Schools is about the chance to experience the commitment, passion and dedication of a motor sports team in a hands on, real life challenge. To keep it short: A small race car has to be milled out of a balsa wood block, which will be powered by a CO2 cartridge inserted in the back of the car body. Including, teams have to set up a pit display, design a project portfolio, and impress the jury with a verbal presentation. We were thrilled by being given this chance by our teachers and F1 in Schools and developed a vision of successfully racing a F1 in schools car: Safire Racing. Our team name has a clear background: we are the first to use sapphire as bearings – This is what makes us Safire Racing – since 2012 and for many years to come. Formula 1 in Schools is the opportunity for students to find themselves in the lives of an engineer and IT professional. The main part of the project is to design a miniature future Formula 1 car, no bigger in length than a A4 piece of paper. The key point is finding the materials for wheels, bearings, axles, spoilers, etc. to not only make the car as fast as possible, but also innovative. Additionally, a project portfolio has to be written, and a pit display has to be set up during the competition – Both will be judged. Finally, a verbal presentation has to be held in front of a jury. These are the key elements for any national competition. The World Finals basically are the same thing, just larger. There are fixed rules and guidelines for everything, which can be found on the F1 in Schools homepage. From the beginning, it was clear that the ultimate goal to produce the fastest car possible needed a strong team of dedicated people and powerful and experienced partners. In Mercedes-Benz, we found a partner that shared our vision of going a long way in a very short time. We did not want to take anything for granted, redefining every bit of a F1 car and trying to do everything slightly differently. We chose a scientific approach to design, questioning everything we have seen so far. The result is the SR01, the first ever Safire Racing F1 car. The SR01 is not only optically outstanding – it is engineered to test the very edge of the laws of physics within the framework of the F1 in schools rules and regulations. We were extremely excited about taking part in the UAE Nationals 2012, and we totally rocked the show. We won the prizes for the Best Reaction Time in the race, the Best Rookie Team, and the Best Engineered Car. But we didn’t stop there – We are the UAE’s 2012 F1 in Schools champions, and represented the United Arab Emirates in the World Finals in November 2012 in Abu Dhabi. We had to get even better. We dramatically improved our car, the pit display, the portfolio, and of course the verbal presentation in order to compete in the Worlds. The World Finals week was an absolutely amazing experience. We became 14th out of 33 teams in total, and won the prize for the best verbal presentation. Afterwards, a new team has formed, and competed in the UAE Nationals in May 2013, staying on the success-lane, and once again making everything even better! We won the prize for the Best Verbal Presentation (again!) and the second overall place! Therefore, we now get to compete at the World Finals 2013 as a collaboration team – the Safire Blue Bullets, and won two prizes that really resemble the team’s hard work: the Innovative Thinking Award and the Pressure Challenge Award. 2014 ist probably the most exciting year ever of Safire Racing. Once again, a new team took part in the UAE Nationals in May 2014, and won first place! Therefore, Safire Racing is now taking part in the F1 in Schools World Finals representing the United Arab Emirates for the third time! You can support and follow us by liking us on Facebook. We will regularly update this page and keep you updated about everything on our blog. Don’t hesitate to ask any questions or comment on our Facebook wall as well. F1 in Schools is a life changing experience. 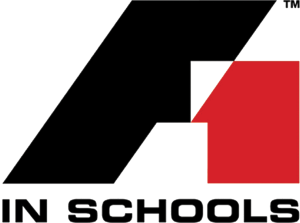 Check out all about F1 in Schools right here.